5 Advantages of Open Source Software for Your Irish Business Website | Host.ie - Linux Hosting packages for all your Irish web hosting needs. If you’re a business owner in Ireland, then you know that having the right software on your side can help you to increase productivity, connect with more clients, and even lower your operating costs. This is especially true if you’re interested in working with open source software. Open source apps can also help you to create incredible projects, tailor your apps and software to your unique needs, and will give you the flexibility you need to succeed. There is no shortage of the benefits of open source software for your Irish business website. But what exactly are the advantages of open source software? And what’s the easiest way to get access to lots of open source apps in just a few moments? Keep on reading this post to find out everything you need to know to make open source software work for you. Before we speak about the advantages of open source software, let’s first make certain that you understand what it is. In a nutshell, open source software means that the source code used to create the program is free for users and anyone else to modify and change however they’d like. This means that they can actually create their own specific version of a program with open source code. They’re also allowed to distribute that newly modified program to whomever — and however many people — they’d like to. This is because open source software doesn’t come with any sort of licensing fees and complicated restrictions. So, if you’d like to copy an open source software after downloading it, you needn’t worry about being penalized for doing so. You can also use the same open source software on lots of different workplace or personal computers. This is completely different than closed-source software, which works to ensure that users can’t alter or even access the source code without the proper license. It’s important to understand that the “free” often associated with open source software isn’t referring to the price tag. Instead, the “free” is more about the freedom you have to play around with the source code, allowing you to truly customise it to your unique needs. Popular examples of open source software include Mozilla Firefox, WordPress, Magento, and PDF Creator, to name just a few. Now that you understand the basic concept of open source apps and software, let’s take a look at the benefits it has to offer. It goes without saying that one of the biggest advantages of open source software is that it allows you to have much more control over your apps and the specifics of the software itself. Aren’t satisfied with a line of code? You’re free to change it to make it more efficient. Want to work with lots of different coders and developers to tweak the software to your needs? No problem. Not only will you have more control over the functionality of open source software and apps. You’ll also be much more in control of the development speed as a whole. Plus, even if you’re faced with a troubleshooting issue down the line, you’ll be able to handle it on your own, without having to be granted permissions from the source code owner. You know that open source software could be a huge benefit for your brand’s website and your business as a whole. You’re not quite as tech-savvy or as experienced with coding as you’d like to be. One of the biggest advantages of open source software is that it provides the perfect opportunity to learn. You also have the chance to take advantage of the open source community. You can have more experienced developers and students take a look at what you’ve created, and ask for feedback. You can learn from their methods, strengthen your skill set, and even learn about bugs or coding errors to avoid. This will save you time, and can even eventually prevent you from having to hire an outside developer. Any project that you complete in your office has benefitted from the number of people that you’ve asked to review it. We’re willing to bet that your fellow employees have caught spelling errors, incorrect data, or just a poorly-worded pitch in an email or document before it got sent out to clients. The same goes for open source software and apps. Because countless people are able to look at it, search for bugs, and pinpoint and fix troubleshooting issues? Many people feel that it’s much more reliable than closed source options. The code has been tested time and time again, and you’re relying on crowdsourced information from some of the best minds in development. By the time it gets to you, it’s already been scrutinized. This is a huge benefit when it comes to the overall security of the software, as well. You know firsthand the kind of damage that a data breach or security hack can do to your brand’s reputation. When you use open source code software, potential lapses in security have likely already been noticed by experienced developers. Plus, even if there is an issue with security, with so many eyes on it, it can be fixed before it spirals out of control. Earlier on in this post, we spoke about how the definition of the word “free” as it relates to open source software isn’t actually about money. However, that doesn’t mean that open source software isn’t an incredibly effective way to keep your overall operating costs under control. At the end of the day, not having to pay for expensive licensing fees, and being able to make as many copies of the software as you’d like, can seriously pay off. This is especially true if you’re able to get your hands on an open source app that’s been developed and tweaked by some of the top coding professionals out there. Plus, remember that when you work with open source apps and software, profit isn’t the ultimate goal. Instead, it’s all about making the best possible product for users. This means that you’ll get high-quality software and apps without a hidden agenda. Finally, open source software is cost-effective in that it doesn’t require you to sign any sort of a long-term contract to use. These types of vendor contracts can be notoriously difficult to get out of. Often, they can cost a business far more than they’re actually worth. With open source apps, you’ll be able to avoid getting locked into a contract and having to deal with rising prices and rates for services you’re forced to use. We think that sort of freedom and flexibility is truly priceless. In the business world, so much of your success depends on your ability to beat your competitors to the market. But when you’re waiting for new software developments or need to have a bug fixed? Often, your competitors will use any hiccups to their advantage, pulling out ahead of you. When you use an open source app, you’ll be able to move much faster than you would with a closed source option. Another one of the biggest advantages of open source software is that new updates and creations arrive on the market nearly every day. This makes it much easier for your company to implement new ideas. 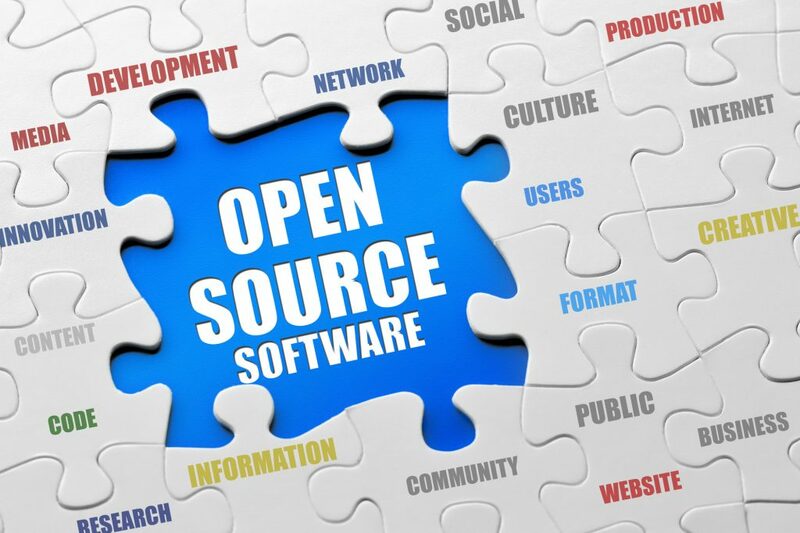 We’re confident that this post has helped you to better understand just a few of the many advantages of open source software for your Irish business. Of course, the right software and apps are far from the only things that you’ll need to take into consideration when you’re ready to grow your business. You’ll also need to think about the kind of hosting platform that works best for your business goals and website traffic. We can help you with open source software, web hosting, and much more. Spend some time on our website to learn more about how our services will help you take things to the next level.